Manages and directs physical medicine and orthotic personnel, material, equipment, administration, and activities. Administers physical medicine and orthotic patient care. Implements treatment plans and coordinates activities to ensure effective and efficient delivery of patient care programs. Fits, fabricates, assembles, repairs and adjusts orthopedic orthoses. Related DoD Occupational Subgroup: 303. 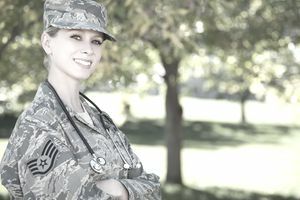 Plans, implements and manages the delivery of physical medicine and orthotic services in coordination with the chief physical medicine element or flight. Maintain standards of care and ethical conduct. Participates in planning, providing and evaluating patient care. Trains in exercise and activities of daily living. Conducts treatments utilizing special equipment, modalities, and other treatment procedures. Fabricates splints and aid devices to protect or assist patient in achieving optimal independent physical function. Constructs orthoses for spinal, lower and upper limbs, casts and corrects shoes as prescribed by a privileged provider. Gathers and documents performance data. Observes, records, and reports patient responses to treatment. Assists therapist with evaluations, tests, measurements, procedures and wound and burn care. Performs, assists with, or manages physical medicine and orthotic administration of services and all related activities to ensure effective and efficient delivery of patient care and programs. Supervises and conducts continuing education, in-service and upgrade training. Manages material and equipment. Recommends need for resource requirements. Submits annual budget. Ensures compliance with inspection and maintenance procedures, and safeguards equipment. Provides quality patient care in an ethical, legal, safe, sanitary, caring and efficient environment. Knowledge. Knowledge is mandatory of sciences including physical, physiological, anatomical, social, and behavioral; basic and clinical sciences, including laboratory or other practical experience; testing and treatment procedures constituting scope of physical medicine and orthotic scope of practice; therapeutic modalities; orthotic laboratory equipment; medical terminology; communication skills and instruction methods; basic medical logistics procedures; administrative procedures; and medical ethics. Education. For entry into this specialty, completion of high school courses in biology and physical science is desirable. Training. For an award of AFSC 4J032, completion of physical medicine course is mandatory. 4J032A. Qualification in and possession of AFSC 4J052 or higher. 4J052. Qualification in and possession of AFSC 4J032. Also, experience in functions such administering patient care. 4J052A. Qualification in and possession of AFSC 4J032A. Also, experience in functions such as fabricating, adjusting, and repairing orthopedic orthoses. 4J072. Qualification in and possession of AFSC 4J052. Also, experience performing or supervising functions within the physical medicine element. 4J072A. Qualification in and possession of AFSC 4J052A. Also, experience performing or supervising functions such as fabricating and repairing orthoses. 4J090. Qualification in and possession of AFSC 4J072 or 4J072A. Also, experience managing functions within the physical medicine element. Required Appitude Score: G-48(Changed to G-49, effective 1 October 2004).